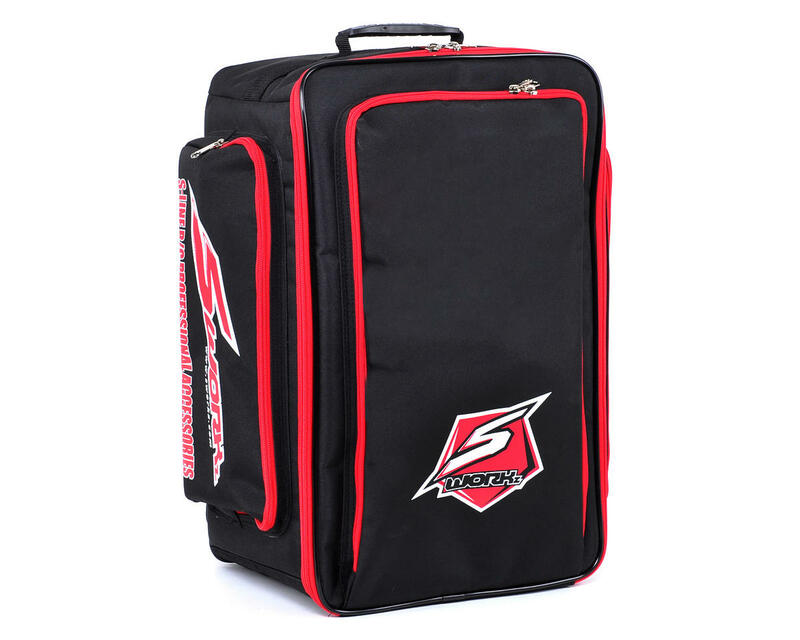 This is the SWorkz Sport Bag Backpack. 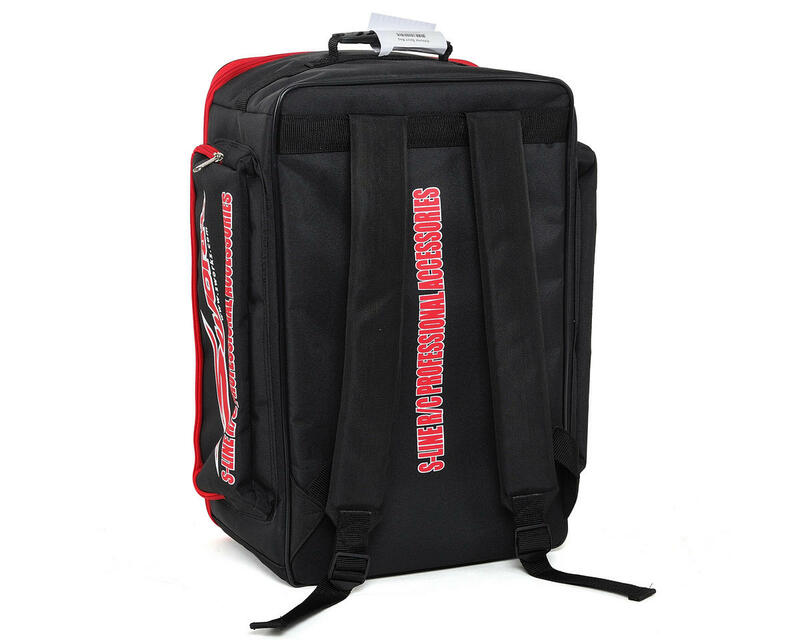 This black and red backpack features a single large pocket that will accommodate most 1/10 scale and many 1/8 scale vehicles. Three additional pockets are located around the outside perimeter to hold any extra gear and or tools you may need. Heavy duty zippers secure all the pockets while two and a half inch wide straps provide the extra comfort while wearing the bag on the go.